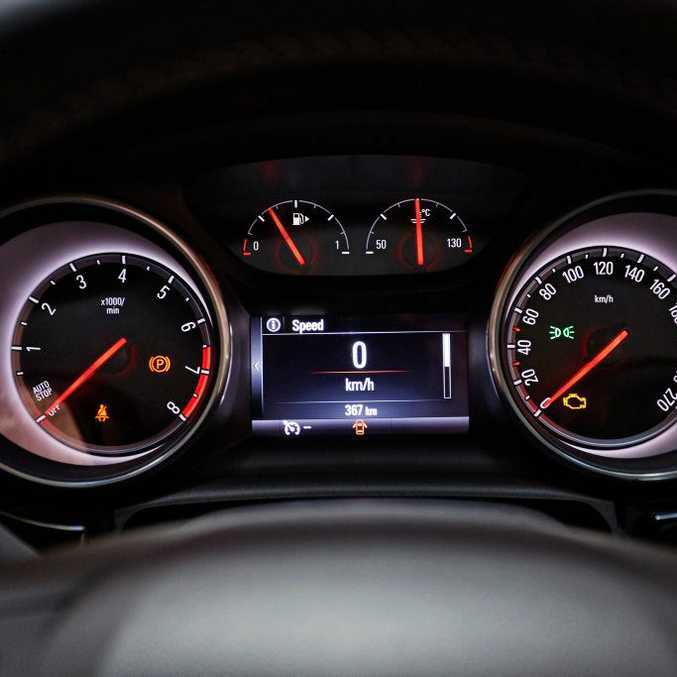 DO you know what cars Australians buy? Boring ones. Overwhelmingly. Look beside you in a traffic jam and there's a proliferation of same-looking bore boxes, usually painted silver, black or white, and featuring an underpowered engine and automatic transmission. It doesn't have to be this way. Holden may have pumped out its fair share of dullards through the decades, but this one in particular is a charming oddball that happens to be incredibly good fun too. It's a humble Astra, of course, but that already makes it the less-obvious choice in our market. 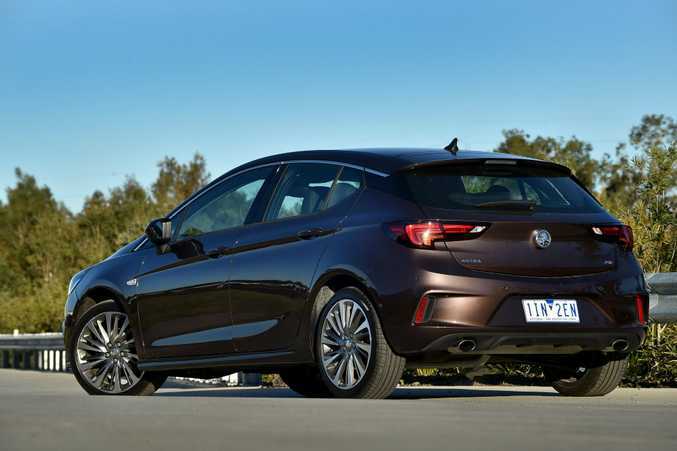 Rivals Toyota Corolla, Mazda3 and Hyundai i30 comfortably outsell the European-imported small Holden, so you'll look less of a sheep at the wheel of an Astra. And this one's the special one. It's the top-of-the-tree RS-V variant, costing $30,740 before on-roads but is flush with kit to add a dash of luxury to your journeys. On my week-long test it also became affectionately known as "The Coconut" on account of its colour. Nothing offensive there - it's what Holden calls it too. Most unusual though were three pedals in the driver's footwell. Yep, the real rarity here was this Astra RS-V coming with a six-speed manual gearbox, something Australians are overlooking these days in disturbing numbers, putting the very future of manual cars sold here in jeopardy. That would be a huge shame. The previous week I drove an Astra RS with a six-speed auto gearbox. The auto was smooth and talented, but a lack of steering wheel paddles robbed the driving experience of much engagement. This wouldn't have bothered me too much if it weren't for the higher-spec Astra's talented 1.6-litre turbo engine. With 147kW and 300Nm (on overboost) on tap, it's not only one of the most powerful engines you can buy in this segment, but one that greatly rewards when you take charge of revs and gear selection. It actually proved a bit of a firecracker for a car a rung down from genuine hot hatches. The turbo engine is eager and can feel genuinely quick if you keep the revs up and execute some rapid gear changes (it's all about involvement, you see), and the self-shifter is pleasingly light and easy to use. If your days aren't spent battling traffic, I don't know why you'd pay more for less fun with the auto gearbox. 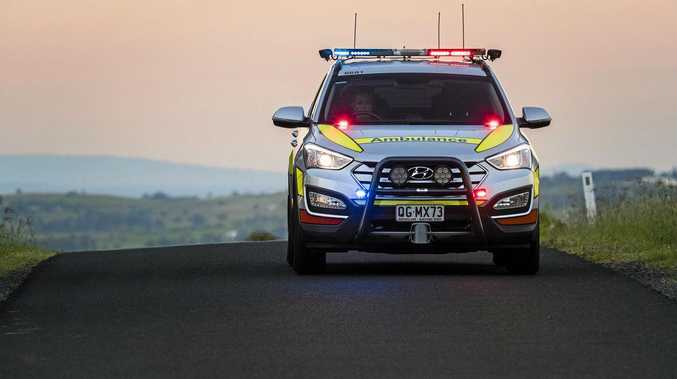 Holden has given all its Astras an Aussie-specific suspension and steering tune, and it does err on the side of sportiness. Slightly stiffer sprung than its more popular rivals, it proves a superbly balanced thing in the turns. It feels solid, safe and fun enough. And the cabin does have a quite special feel to it. This being the RS-V, the goodies are extensive. 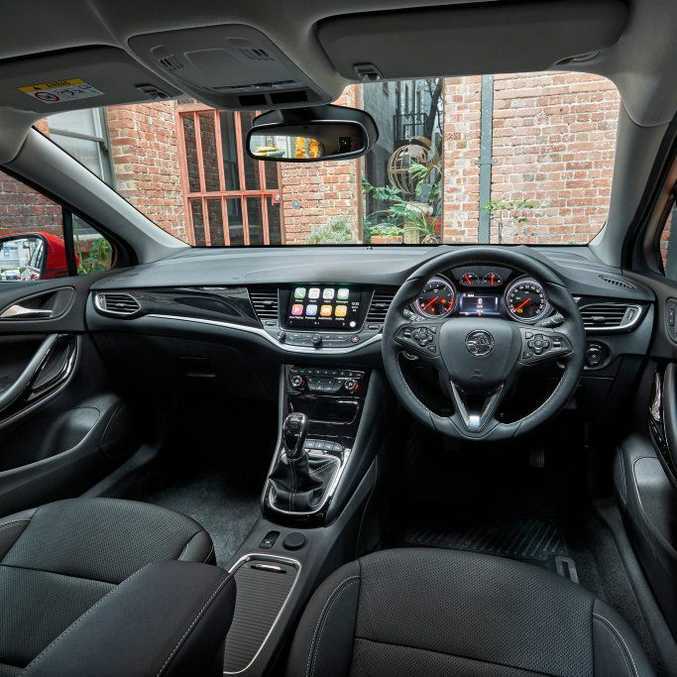 You get 18-inch alloys, an eight-inch touchscreen with smartphone integration for Apple CarPlay or Android Auto, a decent colour digital driver instrument display, leather heated electric sports seats, heated steering wheel, dual-zone climate control and sat nav. Impressive safety too, with auto emergency braking, lane-keep assist, blind-spot alert and forward-collision alert. 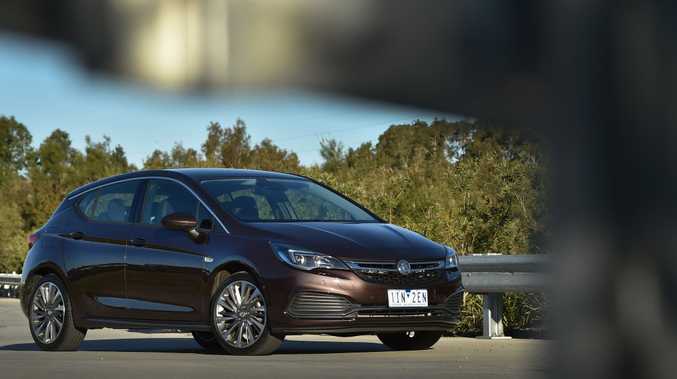 Luxurious enough, yes, and the inclusions are decent for the money, but the Holden still feels just a peg down from the likes of the ever-brilliant VW Golf's cabin: a car Holden benchmarks the Astra against. The style? I for one am a bit of a fan of the very Euro-looking Astra hatch with its sharp creases, funky C-pillar and LED rear lights. Coconut brown though? At least it's different. More than $30k for a Holden Astra is a fair bit of coin, but the RS-V's specification list justifies it. I'd also recommend the Astra with its entertaining 1.6-litre turbo engine to anyone after a bit more driving fun from their small car. And it may fall on deaf ears, but go the manual gearbox too for true engagement. The engine and excellent chassis deserve it. Details: Five-door, front-wheel drive small hatchback. Engine: 1.6-litre turbocharged four-cylinder petrol with 147kW and 280Nm (300Nm with overboost). Bottom line plus on-roads: $30,740.